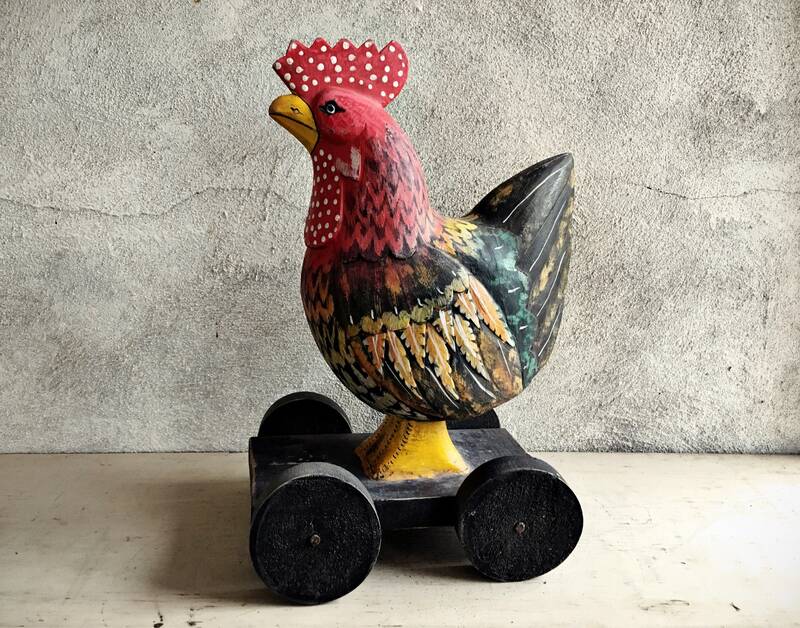 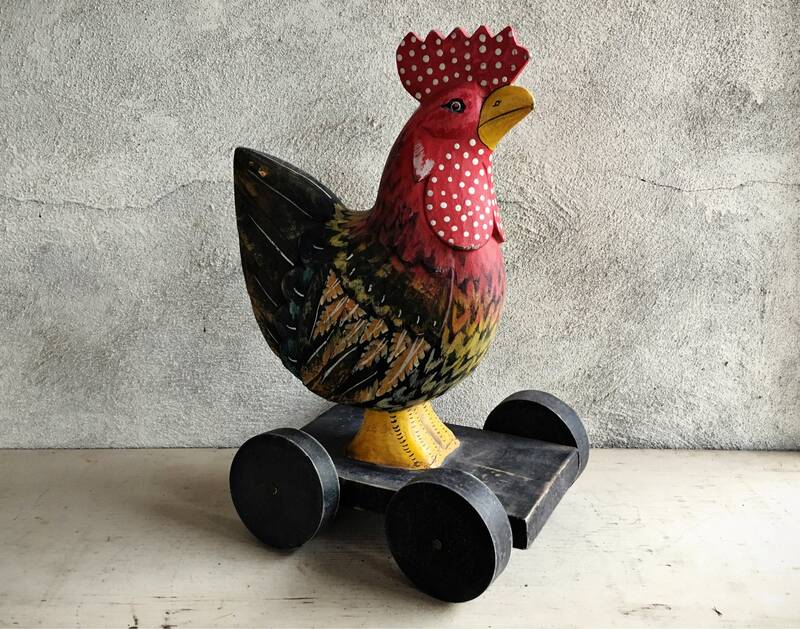 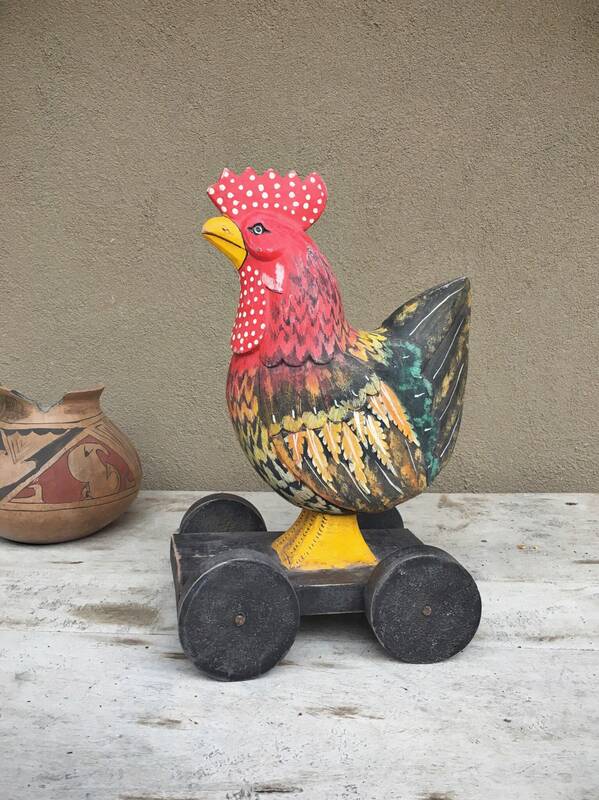 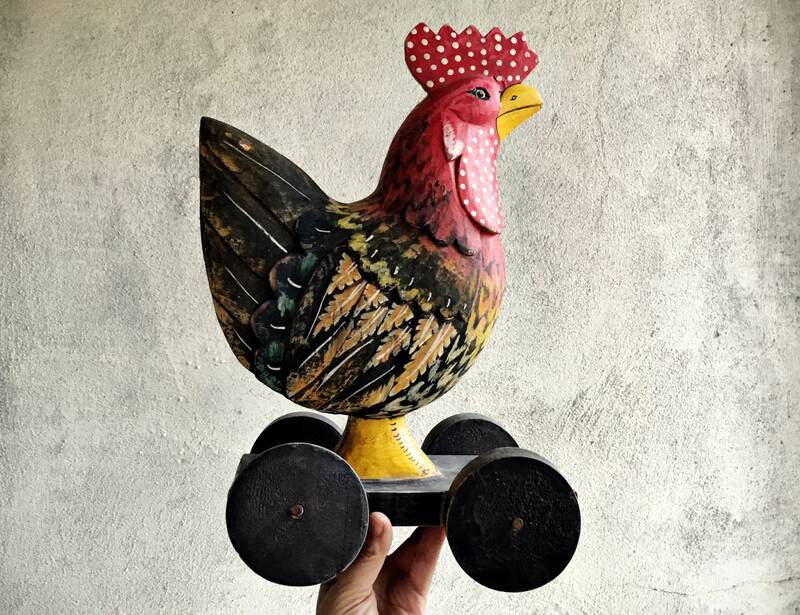 This hand-carved, hand-painted wooden rooster on wheels is absolutely adorable. 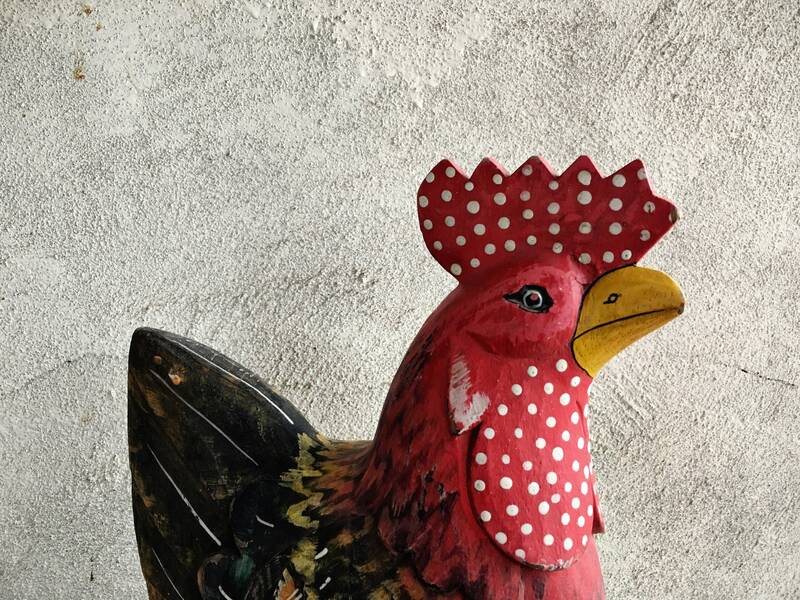 Its head and cockscomb are a pretty light-bright red with white polka dots on the comb and wattle, and the body a mix of gray-black with hints of green and coral orange and beige. 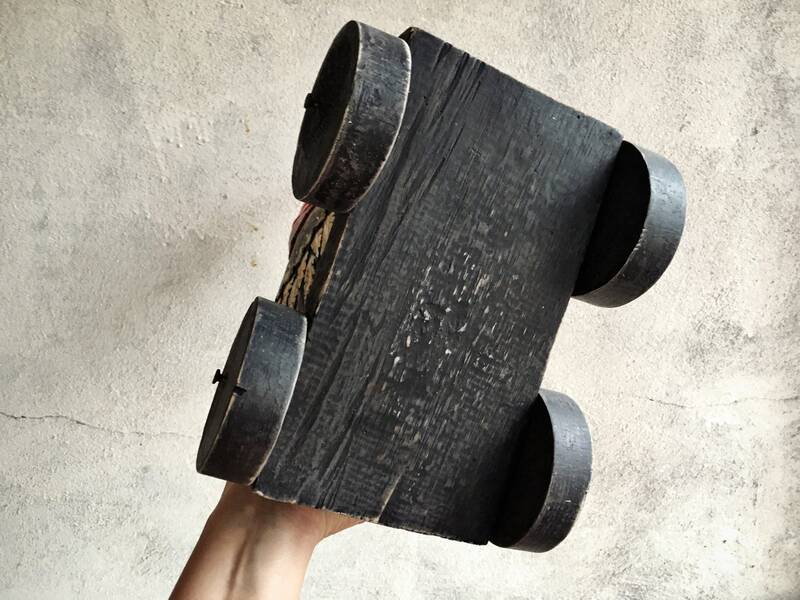 The body is attached to a black base with black wheels, all quite distressed by age and wear. 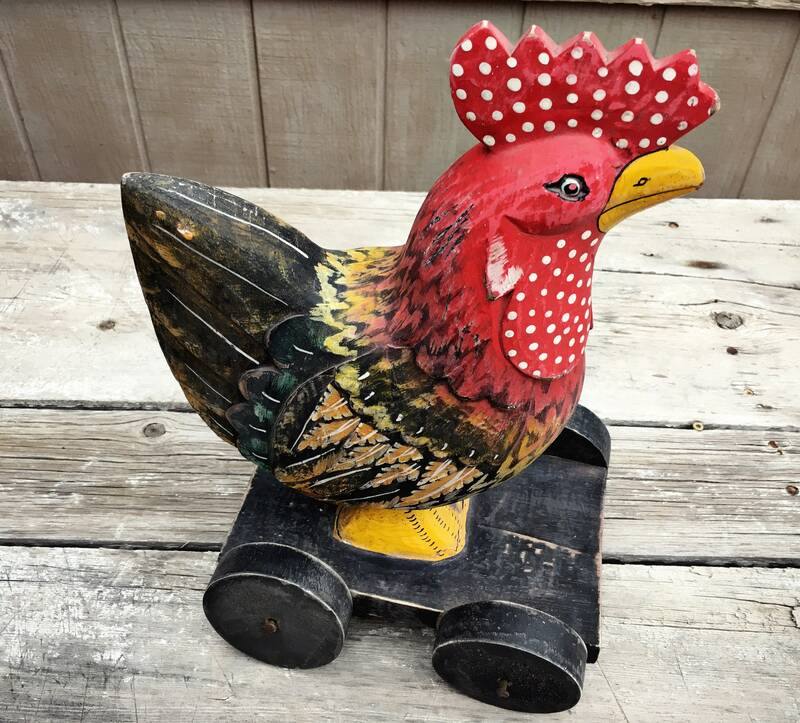 Just a delightful piece of folk art that would look great on an old farm table or shelf. 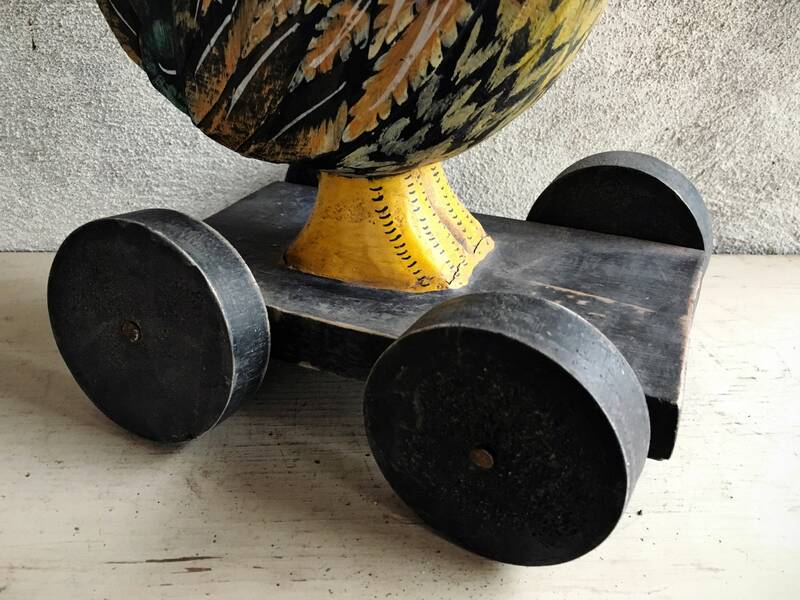 Measures just over 15" tall at the tallest point by about 10" deep accounting for the extension of the rooster's tail over the cart, and just over 7" wide from wheel to wheel. 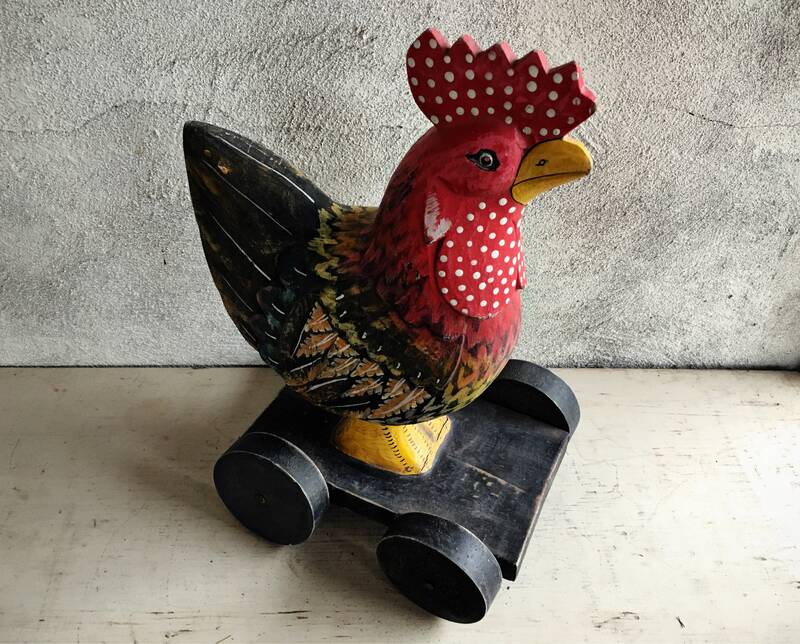 Weighs about 3 pounds unpacked.